1. INITIAL PAYMENT: If you consent to the terms of this agreement, we require the payment and the security deposit if selected to be paid upon making the reservation. 2. FINAL PAYMENT: The final payment is due 60 days prior to arrival date. 3. CANCELLATION: We require 60 days cancellation notice in writing prior to the check-in date. If given 60 days or more notice, 100% of the initial payment will be refunded. If less than a 60 day notice is given, 100% of the amount due will be forfeited. Management reserves the right to cancel this agreement with a 60 day notice provided to the guest. If a cancellation does occur on behalf of management, all monies shall be returned to guest. No refunds will be given for storms that alter your plans. Mountain roads are winding and steep, and we highly recommend a four-wheel drive vehicle and/or chains during winter months. We do not refund due to (A) inclement weather; (B) malfunction of equipment and/or any property amenities (e.g. TVs, DVDs, telephone, hot tub, internet, etc.) or (C) acts of God (i.e. natural disasters or other acts beyond our control). Management will make a reasonable effort to ensure repairs are made and that all equipment is kept in good working order and condition. 4. VACATION RENTAL INSURANCE-CSA: Vacation Rental Insurance has been made available with your reservation. Vacation Rental Insurance provides coverage for pre-paid, non-refundable expenses due to certain unforeseeable circumstances that may jeopardize your vacation investment and force you to incur unplanned expenses. We strongly recommend you purchase this valuable protection. If not purchased, you acknowledge you have read and understand our cancellation policy and choose not to purchase Vacation Rental Insurance on behalf of all occupants. Separate terms and conditions apply; read your Description of Coverage/Policy carefully and contact CSA at (866) 999-4018 with coverage questions. - No pets or evidence of smoking are discovered. - All debris, rubbish and discards are placed in refuse containers; and soiled dishes are placed in the dishwasher and started. - A key is left in the lock box (if applicable), all other sets are on the counter and home is secured. - Garage door openers, pool keys and permanent parking passes are left on counter (if provided). There will be a $75 replacement fee if lost. The guest shall be responsible for all damages or alterations caused by the guest's intentional negligence and that of any occupant or visitor during the specified rental period. Should any damages or alterations be noted upon inspection after the guest's departure, the guest agrees to pay for all costs of repair. Guest authorizes the credit card on file to be charged. If the charges or damages exceed the guest’s credit limit, the guest will pay the difference immediately. 6. VACATION RENTAL DAMAGE PROTECTION: As a part of your stay, you may purchase a Vacation Rental Damage Protection plan designed to cover unintentional damages to the rental unit interior that occur during your stay provided they are disclosed to management prior to check-out. If purchased, the policy will pay a maximum benefit of $3,000. Any damages that exceed $3,000 or are not covered under the plan will be charged to the credit card on file. If, during your stay at one of our rental properties, an insured person causes any damage to real or personal property of the unit as a result of inadvertent acts or omissions, the Insurer will reimburse the Insured for the cost of repair or replacement of such property up to a maximum benefit of $3,000. Certain terms and conditions apply. Full details of the Vacation Rental Damage coverage are contained in the Description of Coverage or Insurance Policy www.vacationrentalinsurance.com/g20vrd. The Vacation Rental Damage can be purchased up to, and including at, check-in. 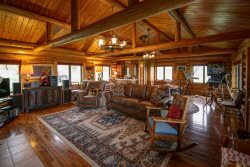 By submitting payment for this plan, you authorize and request CSA Travel Protection and Insurance Services to pay directly Stay Montana, LLC and Lone Mountain Escapes any amount payable under the terms and conditions of the Vacation Rental Damage. Please contact Stay Montana, LLC and Lone Mountain Escapes directly if you do not wish to participate in this assignment. 7. CHECK-IN AND CHECK-OUT: The check-in time is 4:00 PM. The check-out time is 10:00 AM. Tenant will be charged for an additional day’s rent if not checked out by 10:00 AM. All early check-ins and late check-outs must be arranged in writing with Management in advance and may require additional charges. 8. GUEST GENERAL DUTIES: Guest will maintain the property in good and clean condition and will use the property in a carful and lawful manner and not exceed the maximum number of guests as specified in the property description. Additional guests will result in an immediate termination of this rental agreement and forfeiture of all rental fees. Guest will, on arrival, examine the property and will immediately report any damage discovered or any equipment not in operating condition. Guest will pay for any damage to the property, including, without limitation, any necessary or appropriate maintenance and/or repairs required because of guest’s damage. Guest is responsible for securing the property, including windows and doors. Guest will be responsible for any losses due to guest’s failure to properly secure the property. Guest will leave the property in good condition (less ordinary wear and tear) as received by guest upon guest’s arrival. 9. CLEANING: At the end of the rental term, Tenant shall remove all their property and leave the premises reasonably clean and in good condition. All trash should be placed in plastic trash bags, tied securely, and placed in garbage bins. All dishes should be washed and put away, and all windows should be closed and locked prior to check-out. While linens and bath towels are included in the unit, daily housekeeping service is not included in the rental rate. You may inquire about this service for an additional fee. 10. REPAIRS: All repairs and maintenance problems should be referred to the Agent. Air conditioners, TVs, and other appliances will occasionally malfunction and cannot be guaranteed to perform. Management guarantees that repairs will be done as soon as possible during normal business hours. There will be no refunds for furnishings or early departure due to breakdown of air conditioner, heater, appliances, etc., if breakdown is due to weather and/or other conditions over which Management has no control. 11. PERSONAL PROPERTY: Neither the Owner nor the Agent is responsible for loss or damage to Tenant’s personal property, including vehicles and property left in vehicles. Items left in rental unit will be returned where possible at the Tenant’s expense. BY SIGNING THIS RENTAL AGREEMENT, THE TENANT AGREES THAT UPON SURRENDER OR -ABANDONMENT, AS DEFINED BY MCA 70-24-430, MANAGEMENT SHALL BE RESPONSIBLE FOR STORAGE OR DISPOSITION OF THE TENANT’S PERSONAL PROPERTY AS DESCRIBED UNDER MONTANA LAW. A FEE WILL BE CHARGED FOR THIS SERVICE AND FOR STORAGE COSTS. Additionally, by signing below, Tenant hereby authorizes towing and/or removal of any vehicles abandoned by the Tenant or their guests on the Premises. 12. PETS: Tenant will not bring or allow pets on the premises, unless property is specifically noted to be pet friendly and a pet deposit of $300.00 has been paid. Any evidence of a pet at properties that are not pet friendly will be grounds for immediate termination of rental agreement, and there will be no refund for early departure. Evidence of a pet will result in an additional $500.00 cleaning fee. 13. NO SMOKING: No smoking is allowed inside the house. Any evidence of smoking in the unit will result in an additional $500.00 cleaning fee related to cleaning up smoke related damage to the property will be charged to the Tenant. 14. PARKING: Tenant agrees that no parking is allowed except for the area designated for parking. Any damage to lawns or landscape will be charged to Tenant. Tenant is not to repair or disassemble vehicles on the Premises. Any illegally parked cars are subject to towing; any applicable fines/towing fees are the sole responsibility of the vehicle owner. Parking passes are located inside the unit, if necessary. Renters must display parking pass on vehicle at all times. Failure to displace may result in towing of vehicle at renter’s expense. Leave the parking pass inside the unit upon departure. 15. HOT TUBS: No Children under the age of 12 permitted in hot tubs without an adult present at all times. When using the hot tub, remember there is certain health risk associated with this facility. Guests use of the hot tub is at Guests sole risk. LME Management makes no representations or warranties concerning the conditions and/or use of the hot tub. Guest is fully aware that the hot tub and surrounding patio/deck may be dangerous. Guest will learn about safety precautions. A local Hot Tub Company sanitizes refills and replenishes chemicals in all tubs prior to your arrival. Therefore, the water may not be warm until later the first evening of your stay. If the hot tub is left excessively dirty and requires additional service, you will be charged $50 against your security deposit. Hot tub covers are for insulation purposes and are not designed to support a person or persons. DO NOT STAND ON THE HOT TUB COVERS, they will break and you may be charged for a replacement cover. Please remember to cover hot tub when not in use to maintain temperature. If at any time the hot tub looks cloudy or dirty, Guest will cease and further use of the hot tub and will call LME Management immediately. 16. SKI ACCESS: We cannot guarantee the snow conditions at the time of your rental and are in no way liable for snow conditions that contribute to limited or restricted ski access. Owner does not own or operate the ski facilities and makes no representations regarding the same and shall not be liable for any loss or injuries for ski activities. The operation of the ski facilities may have additional fees for usage or equipment, if ski access is desired. 17. GUESTS/PARTIES/NOISE: House parties are strictly prohibited. The Tenant must supervise any guests while on the Premises. Tenant and their guests agree not to violate the quiet enjoyment of the surrounding neighbors and to respect their privacy and property. Tenant and their guests must abide by the rules and regulations set forth by Management and the HOA. Tenant shall obtain pre-approval for any guest not listed in this Agreement. Guest shall be responsible for any HOA fines due to violation of rules and regulations. 18. RIGHT TO ENTER: Agent shall have the right to enter the Premises for inspection, maintenance, and repair during reasonable hours. 19. ATTORNEY’S FEES: If Management employs an attorney to enforce the terms and conditions of this Agreement, Tenant shall be responsible for all costs and reasonable attorney’s fees incurred by the Agent whether or not suit is filed. Both Agent and Tenant waive the right to demand a jury trial concerning any litigation between Agent and Tenant. 20. NON-WAIVER: Any failure by the Agent to exercise any rights under this Agreement or Montana law shall not constitute a waiver of the Agent’s rights. 21. INDEMNIFICATION: Tenant agrees to reimburse Agent upon demand for the cost of repairs or service caused by the negligence or improper use by Tenant, their family, or guests. Tenant will indemnify and hold harmless Agent from all losses, damages, liabilities, and expenses which can be claimed against Agent for any injuries or damages to person or property caused by the acts, omissions, neglect, or fault of the Tenant, their family, or guests or arising from Tenant’s failure to comply with any applicable laws, statutes, ordinances, or regulations. 22. MODIFICATIONS: No subsequent alteration, amendment, changes, or additions to this lease shall be binding upon the Agent or Tenant unless reduced to writing and signed by the parties. 23. VIOLATIONS: Tenant fully acknowledges and accepts all terms and conditions of this Agreement. Any violations of this Agreement may result in early termination without reimbursement and/or fees up to 3 times the daily rent. 24. ENTIRE AGREEMENT: This lease, exhibits, and attachments, if any, set forth the entire agreement between Agent and Tenant concerning the Premises. There are no covenants, promises, agreements, conditions, or understandings between them other than those set forth herein. If any provision in this Agreement is illegal, invalid, or unenforceable, that provision shall be void. All other terms and conditions of this Agreement shall be in effect. Each Tenant executing this Agreement shall be jointly and severally liable for all obligations herein. Each Tenant on the lease shall be held jointly and severally liable for the full performance of the lease.